What Banks Will Give Me a HARP 2.0 Refinance Loan? 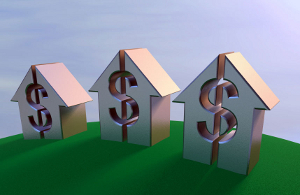 Many banks offer mortgage loan refinances through the Home Affordable Refinance Program(HARP), a refinance program designed for underwater borrowers with loan-to-value ratios (LTV) that disqualify them from traditional refinance loans. With qualifications relaxed as a result of the update to HARP 2.0, borrowers can obtain HARP refinances to lower their interest rates and monthly mortgage payments. Chase offers this recently improved HARP refinance to homeowners throughout the U.S. to enable Americans to achieve the national dream of homeownership, to participate in the recovery of the housing market, and to stimulate the economy to its former vigor. Homeowners must not have refinanced through the HARP program previously; only one HARP refinance is allowed per mortgage. For underwater homeowners hoping to obtain lower interest rates or alter the terms of their current mortgage, Bank of America offers to refinance loans through the Home Affordable Refinance Program (HARP), a program created by the federal government to aid those who were affected by the plummeting home values during the U.S. housing market collapse. Bank of America HARP refinancing helps borrowers lower their monthly mortgage payments by securing the historically low mortgage rates that are currently available. This program provides an opportunity for underwater borrowers with loan-to-value ratios (LTV) that exceed 100%. Borrowers must meet these requirements, or they will be unable to obtain a HARP refinance through the Bank of America. There are other options. For those who have been unable to stay current on monthly mortgage payments, the Home Affordable Modification Program (HAMP) allows borrowers to modify their mortgages temporarily for lower monthly payments or reduced principal balance. After an evaluation, he or she will help borrowers submit an application, providing information about the HARP refinance program and the expenses involved in the refinance process. After submitting the initial application, borrowers must next provide documentation for a more in-depth lender evaluation, concerning financial standing and credit history. To avoid any potential delays in the application process, borrowers should have all relevant documentation ready for submission and provide any specifically requested documents as soon as possible. Also, an appraisal may be ordered at this point in the process if deemed necessary under the circumstances. Next step is to wait for the HARP application approval, and it takes about 75 days. Once Bank of America has decided, the borrower receives a letter informing him or her of the final approval or rejection and will be contacted by phone to schedule a closing date for the loan. Wait for the clear to close. Borrowers then sign the closing documents and pay any up-front closing costs at this meeting, though borrowers can finance these fees into the loan amount. Before discussing this refinance option with your lender, ensure that you satisfy the HARP eligibility guidelines. Borrowers must not have made any late payments within six months before HARP application, and the mortgage must have been acquired by either Fannie Mae or Freddie Mac before June 1, 2009. Your local Wells Fargo branch should have several representatives available who can either help you get started or point you to the correct banker. After speaking with your representative about the HARP refinance terms and interest rates, you should submit your HARP application, along with any necessary documentation such as bank statements, mortgage statements, and pay stubs. Be prepared for a delay; the processing for a HARP application can take 30 days or more, depending on the circumstances.